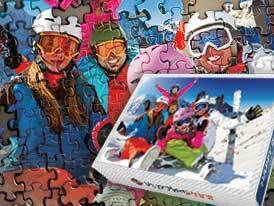 To make a personalised photo jigsaw puzzle, select one of the categories below and jigsaw puzzle size! 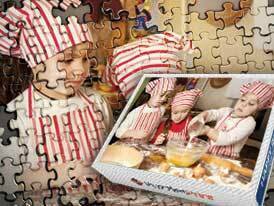 All of our personalised jigsaw puzzles are printed in an eco-friendly way, and then bonded to custom manufactured puzzle cardboard. We then use a special cutting die, to cut the puzzle in to pieces. Every piece is properly shaped, and fits tightly together. Each piece is also a little different so will fit only in the designated place. 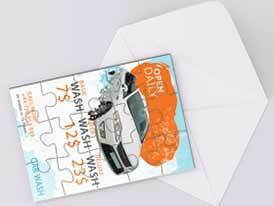 We have all the tools needed to make our personalised jigsaw puzzles in-house. PuzzlesPrint ensures that production time is reduced to minimum. 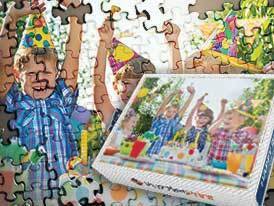 We have a trading partnership with DHL and UPS , which means we can ensure that you will receive your custom made jigsaw puzzle as soon as possible. 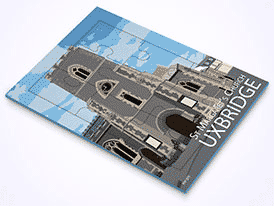 We make an online photo editor available, so that you can edit, crop and re-size your photos to suit your needs. You can even add custom text to your images once they have been uploaded. 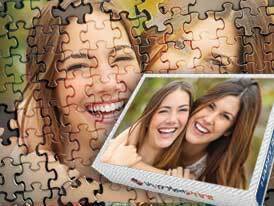 Our online photo editing application lets you see exactly how your personalised picture puzzle will look. 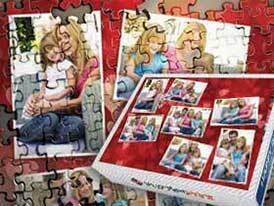 Photo puzzles make excellent personalised presents to commemorate any occasion! 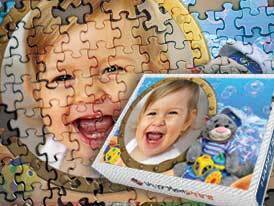 Here at PuzzlesPrint we can take any image, and turn it in to a personalised jigsaw. Personalised picture puzzles can be ordered and will be delivered to all Australia locations, including: Sydney, Melbourne, Brisbane, Perth, Adelaide, Gold Coast-Tweed, Newcastle-Maitland, Canberra-Queanbeyan, Australian Capital Territory, Sunshine Coast, Wollongong, Hobart, Geelong, Townsville, Cairns, Darwin, Toowoomba, Ballarat, Bendigo, Launceston, Albury-Wodonga, Mackay, Rockhampton, Bundaberg, Bunbury, Coffs Harbour, Wagga Wagga, Hervey Bay, Mildura-Wentworth, Shepparton-Mooroopna, Gladstone-Tannum Sands, Port Macquarie, Tamworth, Traralgon-Morwell, Orange, Geraldton, Bowral-Mittagong, Dubbo, Nowra-Bomaderry, Bathurst, Warrnambool, Kalgoorlie-Boulder, Busselton, Albany, Warragul-Drouin, Devonport.